By May it was already fully hot. Not quite the sweltering heat of mid-summer, but there was an intensity reminding me this wasn’t the sun of home. This was more brilliant, more pounding, more raw. This was the sun of another country—a country completely unlike my own, yet snug against its border. 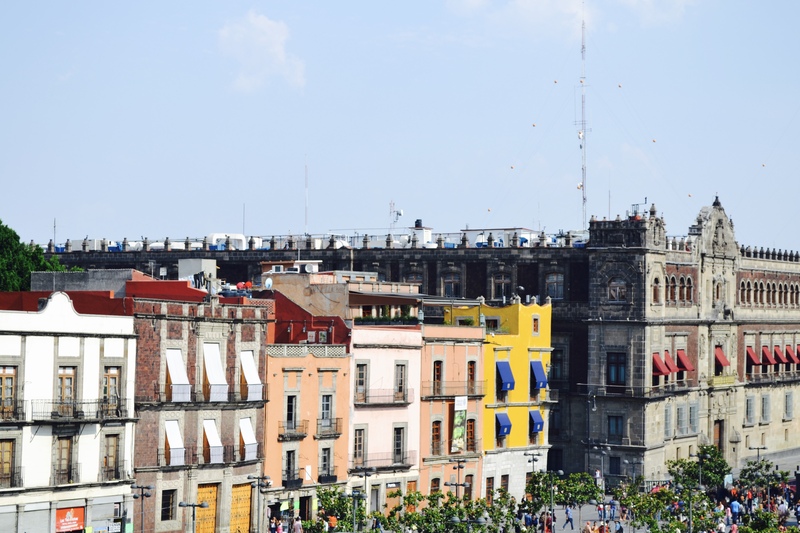 I had come to Mexico City seeking the capital that had brushed itself off and was rebranding itself as a major metropolis to rival Paris, London, and New York. I came to get lost and to be freed from Manhattan’s grid. I came, impatiently, for the first taste of the season’s heat. Like many before me, I fell under the streets’ intoxicating charm. Couldn’t I live here? Walking the streets as if there were my own, building a tolerance to the spice of black salsa and smokey mezcal. I wanted to find out; I wanted to live there, not merely visit. 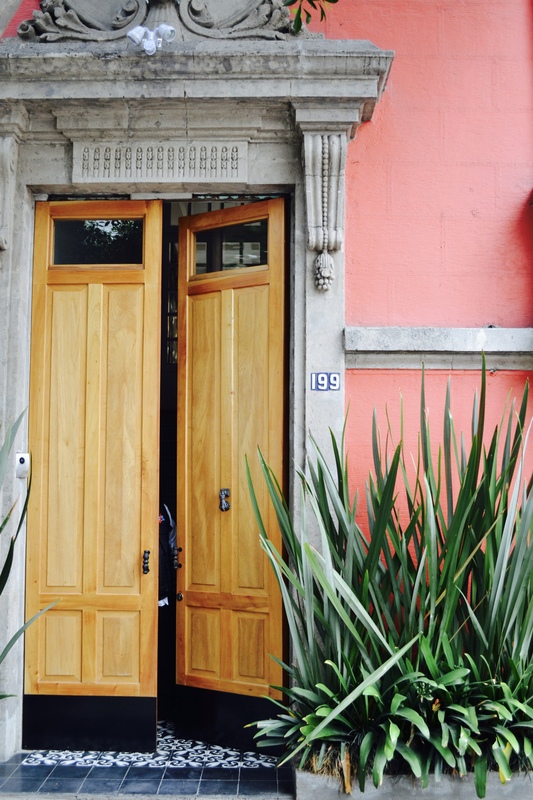 So I based myself at Casa Goliana, a boutique bed and breakfast with properties in chic and historic La Roma and the mid-century neighborhood of San Ángel. Open only for a little over a year, Casa Goliana is already a favorite of artists, photographers, and journalists passing through Mexico City, and the attention to the integrity of the buildings (a 19th century mansion in La Roma and a 1960s masterpiece in San Ángel) makes you understand why. Both properties have unmarked doors which allow you to feel more like you’re coming home rather than touring, and have been masterfully restored and decorated by owners Ana Reyes and Sergio Hinojos, a couple who entered the hospitality world after careers in film and tv. Like all great hosts, Ana and Sergio will guide you through the city’s webs, telling you where and when to go. It’s impossible to see and taste it all and attempting to would rob you of any real sense of the place. Start in San Ángel, a mostly residential district of bougainvillea-lined streets. 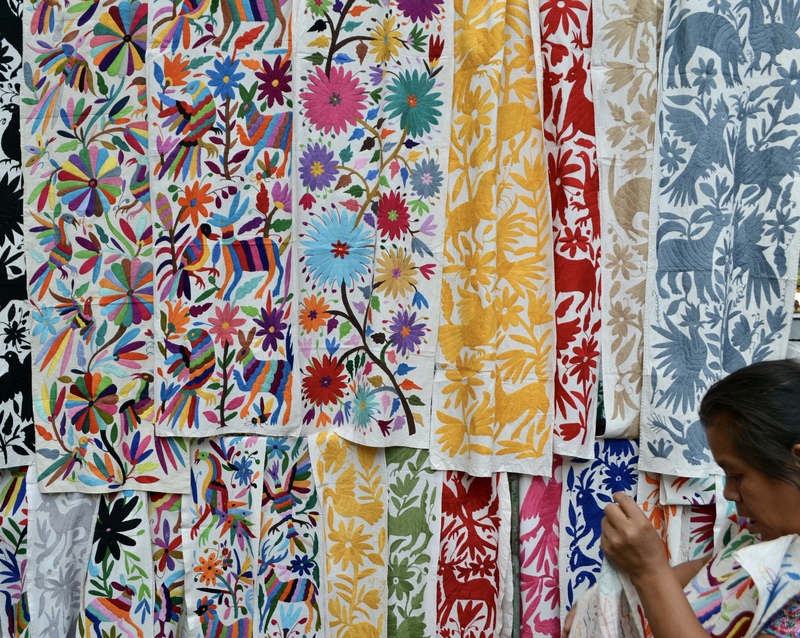 San Ángel is home to the popular El Bazar Sabado which is the only crafts market truly worth going to. Women finishing their embroidery line the perimeter of the Saturday-only bazar and within local artisans sell everything from decorated. matchboxes to jewelry with ancient Aztec designs. Stop by the hidden Inglesia de San Jacinto church as you wind yourself through narrow streets to the San Ángel Inn, a journey back in time where guests dress for dinner and large umbrellas allow guests to continue on with al fresco dinning even in thunderstorms. Stopping for a drink is well worth it—order a cerveza and a shot of mezcal with spiced lemons or one of their deservedly famous margarita that arrive in their own miniature carafe and ice bucket. 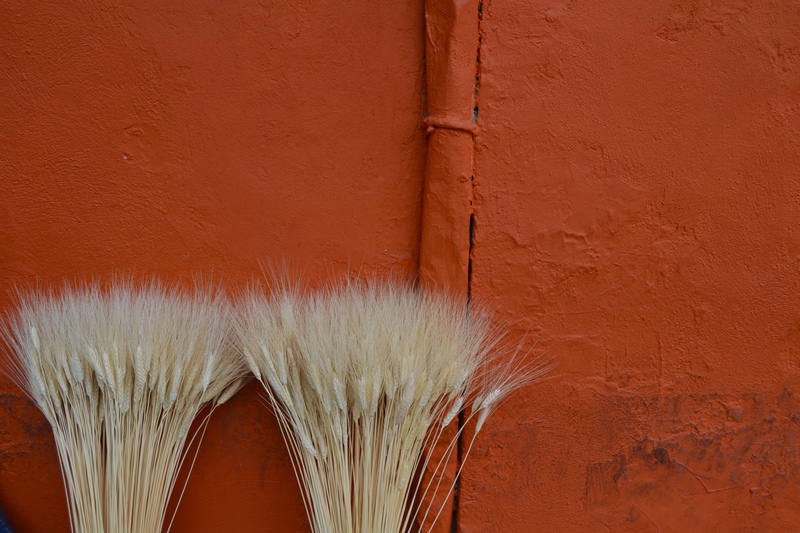 Xochimilco, a UNESCO world heritage site, and the city’s water preserve, is not far from San Ángel and is a welcome respite in the otherwise urban behemoth. 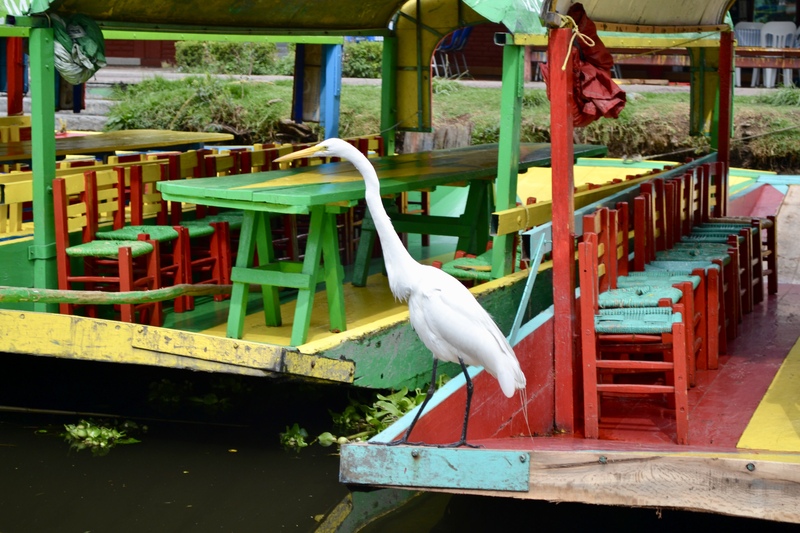 Take a trajinera (gondola) through canals where thin white cranes, red-headed black birds, and the occasional cow will greet you from the chinampas (fertile beds) that line the route. A four hour ride (trjineras don’t go much faster than a crawl) will take you to the macabre Island of the Dolls. Bird chirps and the faint buzz from telephone wires is all you’ll hear on the weekdays, but on weekends Xochimilco fills with families, groups of friends, and the occasional floating mariachi band. 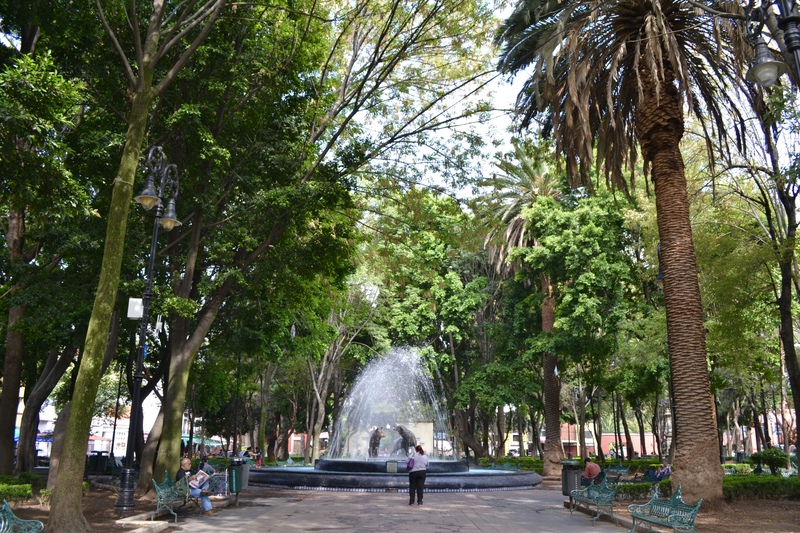 Across the city, to the northern area where you’ll see the tourists that are largely absent from the city’s south, make a necessary trip to Plaza de la Constitución. The Zócalo, as it is more commonly known, is the largest square in the world and its sheer magnitude makes a visit worth it in and of itself. Fittingly, the plaza is home to the largest church in the Americas, the Catedral Metropolitana de la Ciudad de México which currently displays a replica of the Shroud of Turin. 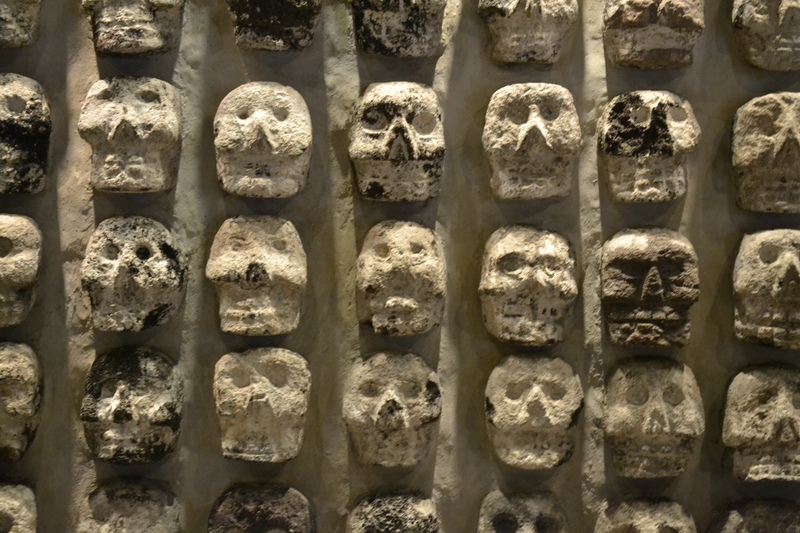 The Museo del Templo Mayor offers a fascinating look into the city’s Aztec history. 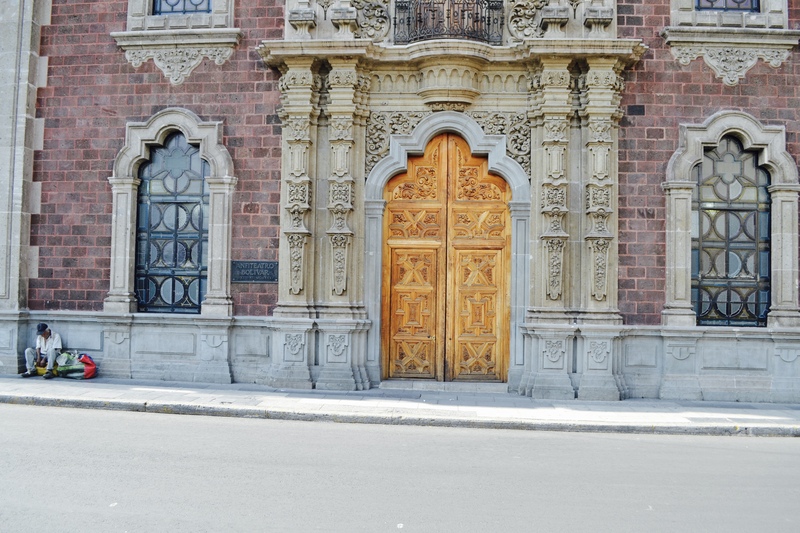 As a calming cure, head across the square to to La Casa de las Sirenas a thin a gorgeous, multi-storied 18th century house. Eat on the roof terrace which overlooks the square. Less than a fifteen minute walk away you’ll find Cantina Tio Pepe, one of the oldest operating and most traditional watering holes in the city (now on the one-block neighborhood of Chinatown). The cantina has seen a cast of characters, from artists to politicians to tourists since it began pouring mezcal and cerveza over 100 years ago. 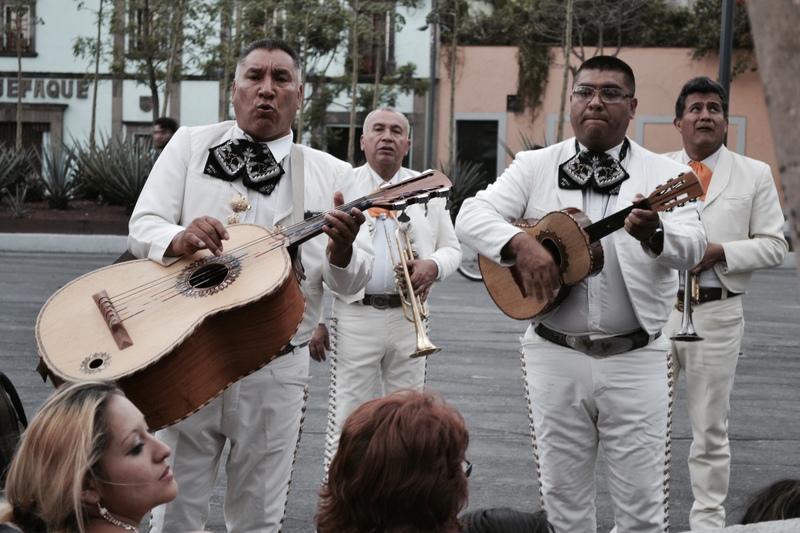 To enter the soul of the city’s mariachi scene will bring you to Plaza Girabildi. 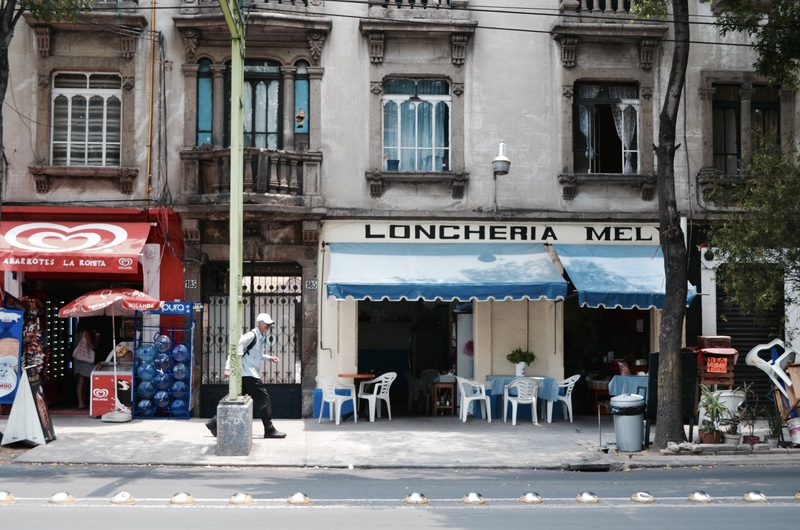 A sobering walk from Plaza de la Constitución through one of the more bleak areas the city, Plaza Girabaldi is the city’s gathering place for mariachi (4,000 mariachos are registered in the city). This gritty square is watched over by a handful of policemen and a statue of Saint Cecelia, bedecked in multicolored lights the pulsate on and off with questionable voltage. 100 pesos will buy you a song. Stop in SalónTenampa, a taqueria that’s been in operation since the 1920s and is an institution for mariachos and visitors alike. 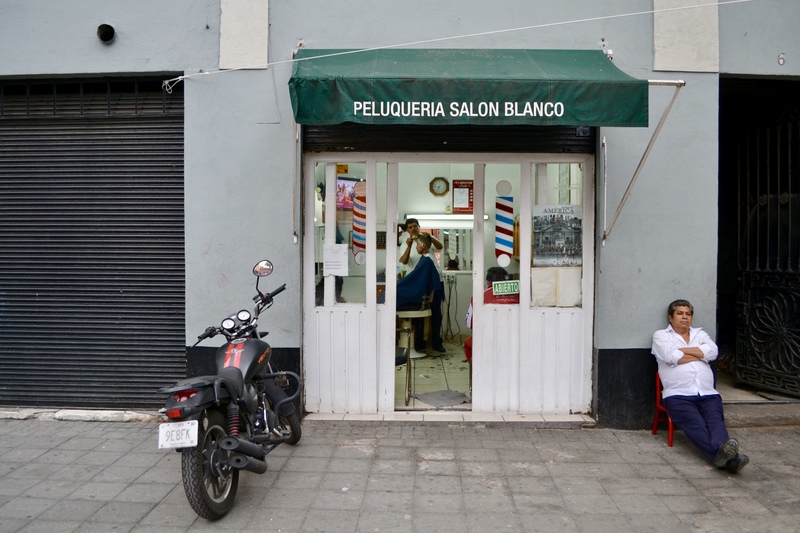 It’s easy to conjure a feeling for 1920s Mexico City especially when walking the streets of La Roma and Condesa, the city’s chic, bohemian neighborhoods frequented by young Mexicans and expats who seem to have latched on. Turn of the century buildings and an abundance of mixology establishments make both neighborhoods a feats for the eyes and much as for the palette. Any conversation with a young person in La Roma will have you knowing about Paramo, a hot spot for the young and hip with a cult following. 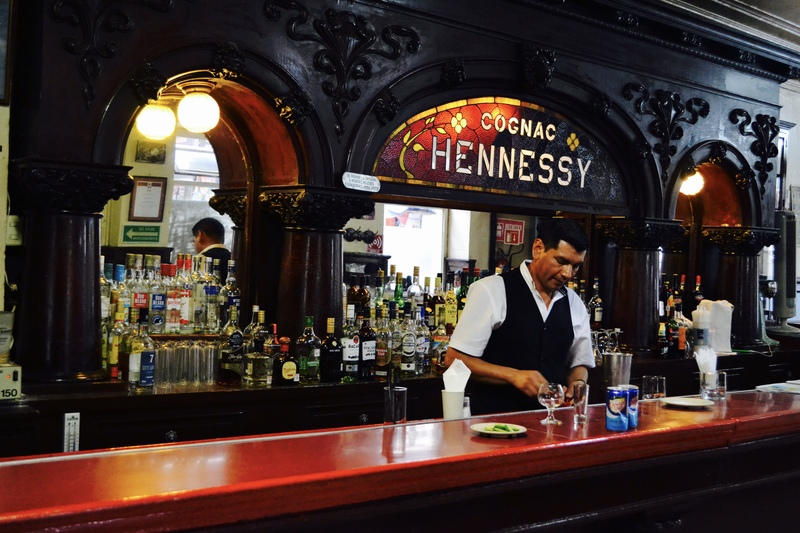 It’s located above the lunch restaurant El Parnita which is just open for lunch; you’ll reach Paramo through a rusty, unmarked door will lead you up a flight of stairs to a multi-room web of dinning. In Condesa try La Capital and make sure to order there Margarita La Capital (Don Juan Blanco, ancho reyes liqueur and grapefruit). 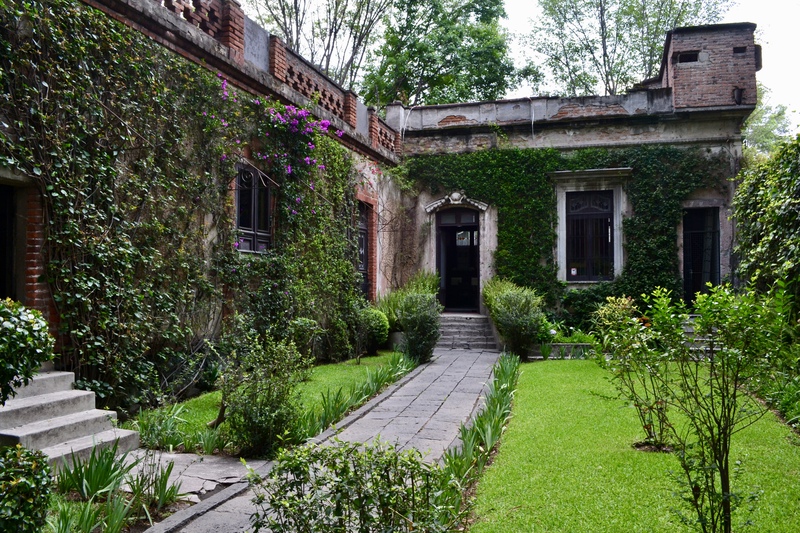 A similarly beautiful, albeit, more residential neighborhood is the lovely Coyoacán, once home, most famously, to Frida Kahlo, Diego Rivera, and Leon Trotsky. Trotsky’s home, far less crowded and more crumbling than nearby Casa Azul, is a dive into another era that has been bizarrely kept alive with many of the Russian revolutionary’s belongings and some clothes still inside. Frida’s house, if you can elbow your way through the crowd, is a transformative, yet brief visit into the mind and soul of one of the last century’s most intriguing artists. 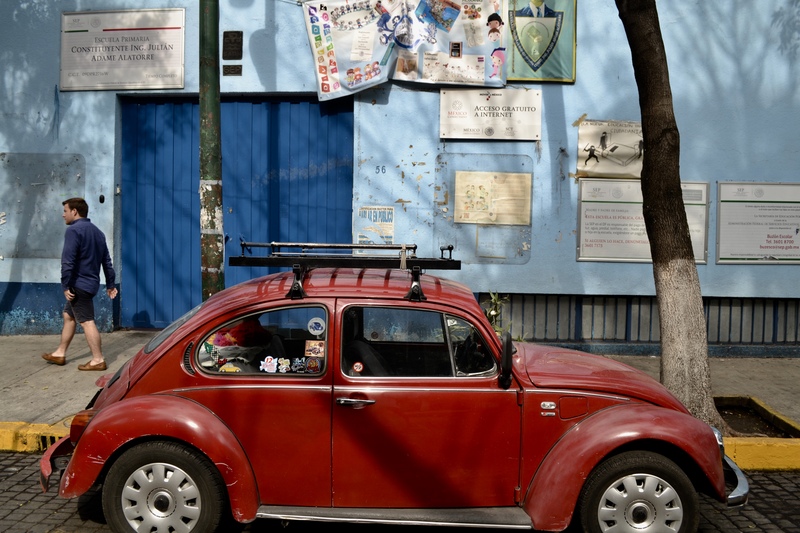 The cult of Frida extends well past Coyoacán and permeates throughout the city. Mexico City is a place for dreaming. For stepping out of the maze of your life and reimagining a different landscape. It’s a metropolis of 20 million people, rolled into the good, the bad, the horrific, and the sublime. It’s a place to taste and try and wander. It’s a place to get lost and a place to find.